The film, featuring the voices of Emma Stone and Nicolas Cage, has edged out Gerard Butler’s new action movie, Olympus Has Fallen, which opens at number two with $30.5 million (£19 million). Former number one film Oz The Great & Powerful falls to three, while Halle Berry’s new thriller The Call and Tina Fey’s comedy Admission debut at four and five, respectively. 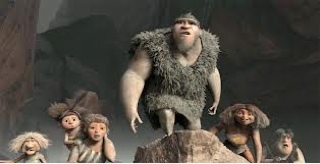 The Croods also reigns supreme at the international box office – the family film has opened with $63.3 million (£39.5 million) outside America in 86 territories.